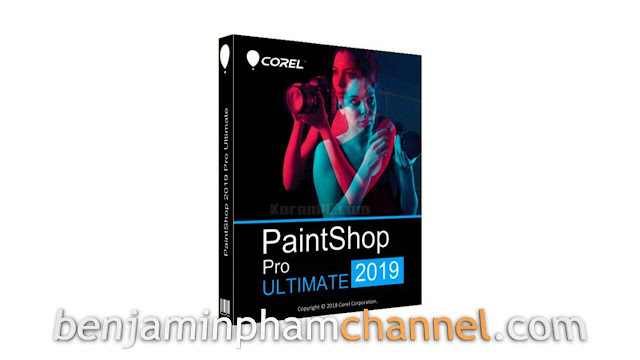 PaintShop Pro 2019 is a cost-effective solution for editing photos and developing a graphic design that does not impose any limitations on the users that the subscription model assumes. 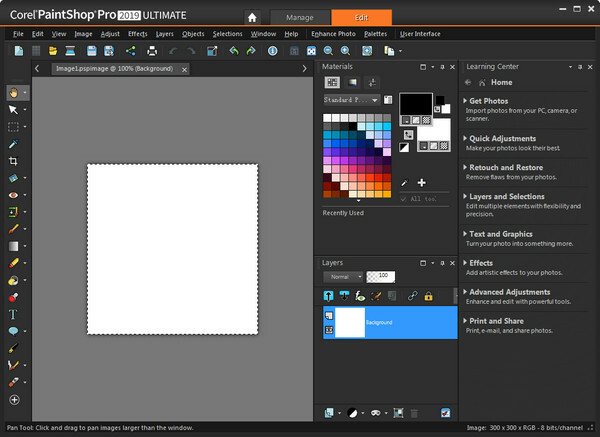 Professional photo editing tools for customizing images, a palette of colors, brushes, gradients, patterns and textures to create spectacular art projects, significantly improved popular tools, an optimized user interface with accelerated navigation, as well as new workspaces corresponding to a certain level of user training. The Ultimate package includes a quick and easy-to-use PaintShop Pro, as well as an exclusive collection of premium software that you will not find in Photoshop. With Painter® Essentials ™ 5, you can turn your photos into real works of art, Perfectly Clear 3 SE will help you automatically correct your photos, and in Corel® AfterShot ™ 3 you will find everything you need to quickly process photos in RAW format. 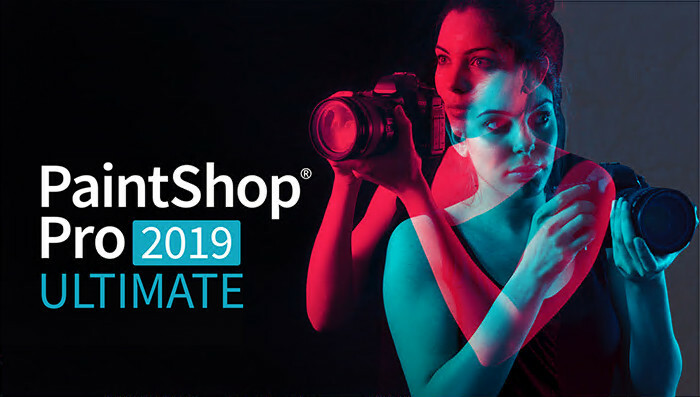 Easy to learn PaintShop Pro 2018 offers effective learning tools and provides an efficient creative process. The Workspace workspace is distinguished by visual unloading and enlarged icons. A simplified interface, which is convenient to navigate, contains key tools for developing design and editing photos. Following the feedback and wishes of our users, we significantly accelerated the launch of PaintShop Pro: compared with the previous version, the launch time was reduced more than twice. Now you can even faster start working on your projects! Choosing the right colors is of great importance, because the color scheme can be a turning point in the development of your design project. Now you can use the wonderful ready-made color combinations from the color palettes presented in the Materials panel. Color palettes save time and effort when choosing a color scheme and provide color complementarity. With a full range of professional photo editing tools, you can quickly improve the quality of any image. In PaintShop Pro there are reliable editing tools in layered mode, just like in Photoshop, only at a lower price and not by subscription.